I always look forward to my Vintage Val season portrait shoots. and styled the shoot around that. thrift stores and a few from Target. I loved using my fun props! and was delighted to find it in my grocery store. Coke started selling in the famed bottles again in 2010. I think Val should be in a Coca Cola ad! she bought this pretty parasol just for this shoot! My neighbor Ginny has a Tiki Bar by her pool! so we asked if he could be Val's 'Cabana Boy' . I found this great hat and red heart sunglasses on Ebay. to venture into the pool. bathing suit photographed as hot pink. and suit color in this photo. for every photo because I want the suit to be RED. change or adjust the color of an object. shot a series of UNDERWATER portraits! 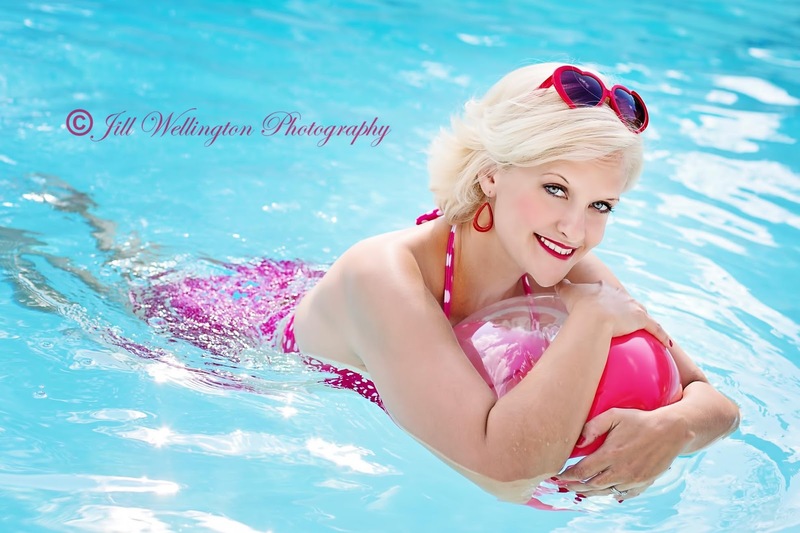 Bring your camera to the pool and get some fun summer shots! 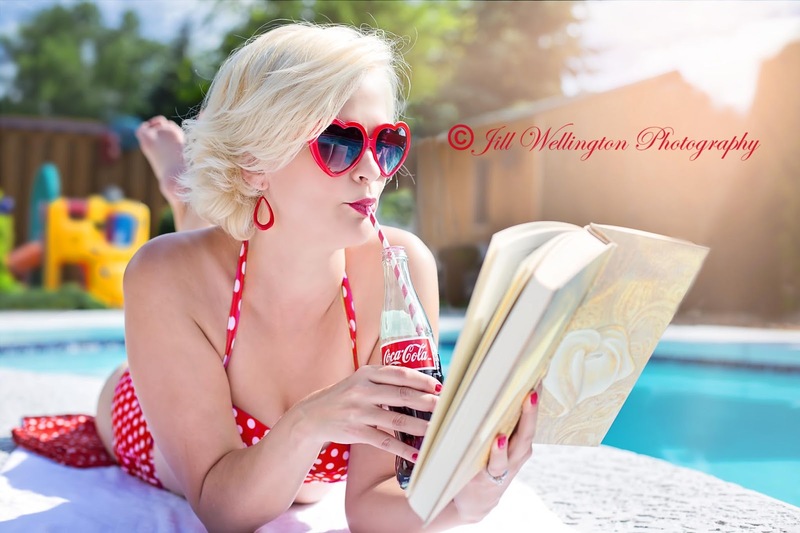 I love your Vintage Val Shoot, and I agree she should do a Coke ad. Your props and bathing suit are perfect. I always look forward to your creative ideas with Vintage Val. The underwater shoot is amazing. Great pictures! I love your photo style!